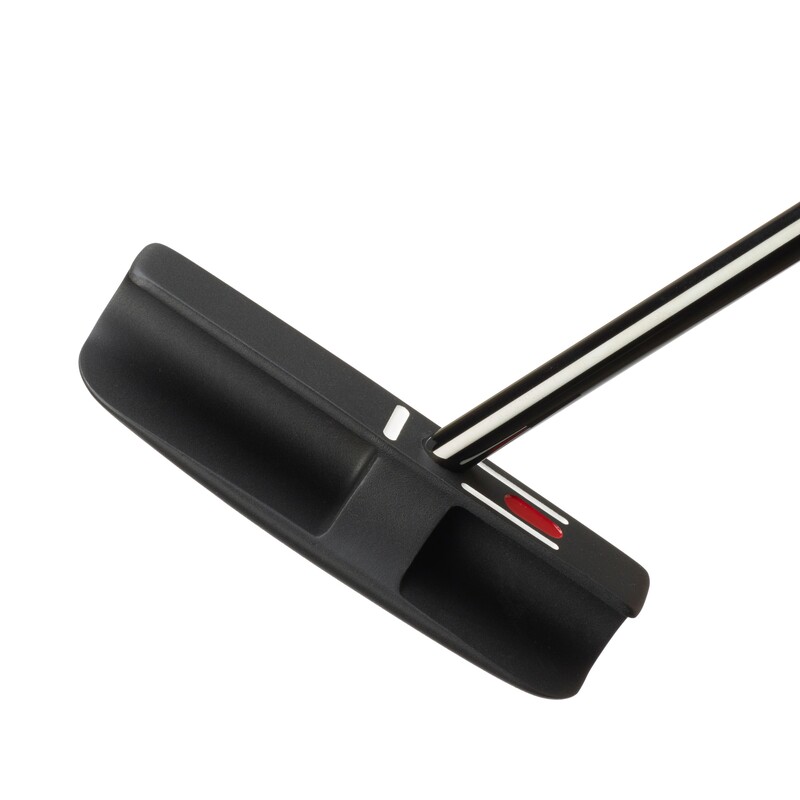 The original FGP Black putter was the winning putter at the 2007 Masters in one of the greatest clutch final putting rounds in history. Alignment benefits of RifleScope Technology (RST). Straight shaft. Full toe hang. Design and functionality are completely unique to SeeMore, with majority of weight behind center making it very easy to properly release the putter head. Cast 303 stainless steel now featuring milled face. Black powder coat finish to eliminate glare. Those 2 white lines and that 1 red dot create so many positive reinforcements and instill great fundamentals, whether you're using the putter as a practice/training aid or it's your gamer. The other extremely important aspect of most SeeMore models is the fact that it face balances at impact. While most Mallet style putters are face balanced statically, they're most certainly not face balanced dynamically, and that's the most important - the dynamics of impact and the ensuing confidence created by knowing with full certainty that your Putter will perform as intended. As well, with the Original FGP, much of the weight is situated directly behind the sweet spot, which provides tremendous stability through impact and provides responsive feel & feedback. Most Golfers are unfortunately quite reluctant to spend much if anything on their Putter despite putts on the greens comprising most of their strokes per round. With a small investment, they'd improve tremendously. A simple test would be to see if they're able to hole some straight up or downhill 3-6 foot putts. If they're consistently unable to, there's issues related to both technique and equipment, of which a SeeMore Putter can help both! As you can tell, I can't recommend this Putter enough, it's staying in the bag forever! !